All online payments are encrypted and securely processed through Blackbaud, Trinity’s supplier of financial management software. 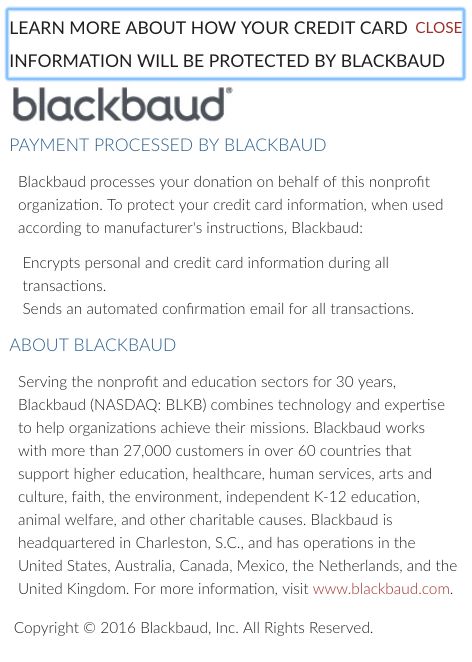 Learn more here or by visiting blackbaud.com. Please contact our website administrator with questions or concerns.